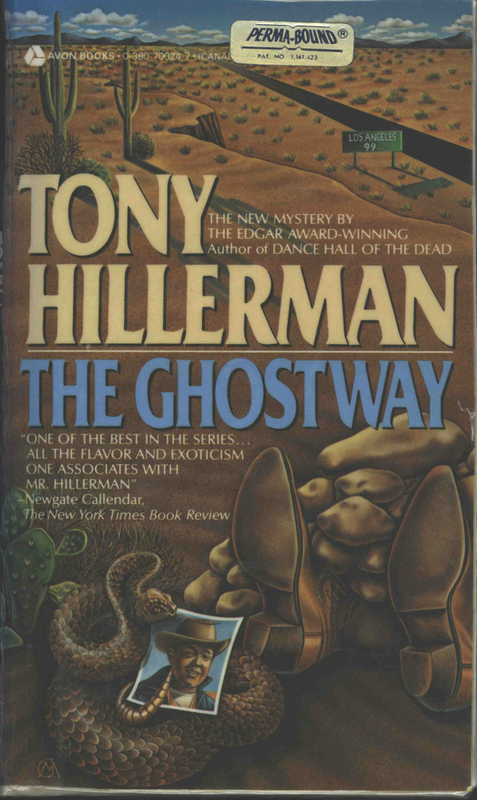 This is the full and detailed view of The Ghostway by Tony Hillerman, published in 1986 by Avon Books. The front cover illustration shows a rattlesnake coiled around a snapshot of a man in a Western-style hat. To the right of the snake, two feet, wearing cowboy boots on the wrong feet, protrude from a pile of stones. To the left of the snake is a nopal (prickly pear) cactus plant. In the background, two saguaro cactus near a mesa edge overlook a road crossing a desert landscape. A green highway sign next to the road reads "Los Angeles 99." The road fades towards a mountain range in the distance, blue sky and puffy clouds overhead. Overlaid on the drawing are the author's name, printed in white, and the name of the novel, printed in sky blue. 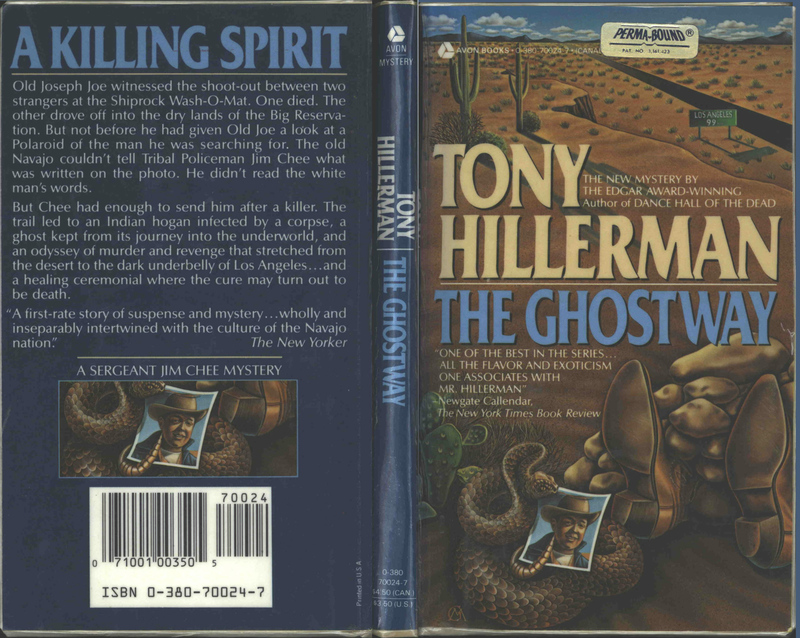 The back cover is dark teal blue and the heading "A Killing Spirit" is printed at the top in sky blue, above the novel synopsis printed in white. At the bottom of the back cover is a detail of the illustration from the front cover, the section showing the coiled snake, the snapshot of the man, and the heel of one cowboy boot. Below that is the bar code.